Built in 1900 by order of the Tsar, Latvijas Balsams in the Baltic city of Riga, Latvia is a magnificent cathedral to vodka. Owned by the S.P.I. Group, owners of Stolichnaya, this is where Russian Stolichnaya vodka has been bottled for over 66 years (since 1948). It is also home to Riga Black Balsam, a traditional Latvian vodka-based herbal liqueur. 1. Winter and spring wheat is farmed in Russia’s fertile black soil region. 2. At the ultra-modern Talvis Distillery in Tambov, the grain is brewed to create a beer which distillers call mash. 3.The mash is distilled and rectified (purified) into a neutral spirit of 96.3% alc./vol. 4. This rectified spirit is sent by tanker train from Tambov to Latvijas Balzams in Latvia where it is blended with specially treated artesian well water. 5. The vodka is then filtered four times - through quartz sand, then through Russian birch wood charcoal and finally through fine cloth. 6. Finally, Stolichnaya Vodka is bottled at the Latvijas Balzams in Latvia. Until 2009 the spirit used to make Stolichnaya was made at four distilleries around the town of Tambov, 400 miles south-east of Moscow in the middle of the Black Earth region. The four distilleries were Novolyadinsky (founded 1802), Volkovsky (1878), Khlystovsky (1890) and Sosnovsky (1900). In 2009, production at these four distilleries was replaced with the new purpose built state-of-the-art Talvis Distillery close by, just outside Tambov. This facility not only allows the production of better quality grain neutral spirit (GNS), but technological improvements have enabled the production of four times as much alcohol by one-third the number of people using one-third as much energy. The expert distillers and other staff who run the new distillery were drawn from the city’s old distilleries and they set about using their experience and the new ultra-modern distillery to set new standards in vodka production. Known as Alpha spirit, this is now the highest quality spirit recognised by the Russian authorities. As part of this quest to make a purer spirit the grains used to make Alpha spirit were changed to 100% Russian winter wheat. 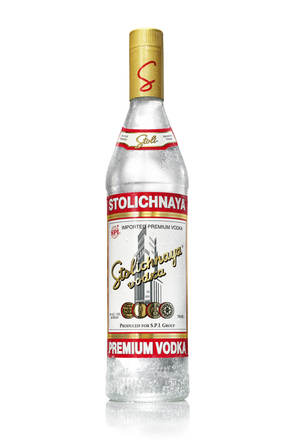 The spirit used to make Stolichnaya is distilled from winter wheat, spring wheat and some rye. The S.P.I. Group, which owns Stolichnaya, has its own farms close to its Talvis Distillery which cover huge tracks of land in the fertile black soil region of Tambov. However, these vast farms are only capable of supplying 10% of the distillery’s grain needs with the balance coming from other farms in the Black Earth Region. The Alpha spirit used to make elit by Stolichnaya is only distilled from wheat grown in a specific area of the Raduga farm owned by the S.P.I. Group. Grain trucks arriving at the distillery are directed to a weighbridge where the weight of the load is recorded and samples are taken from eight separate locations from both the truck and any trailer the truck may be towing. The samples are mixed together to arrive at a representative sample for testing for humidity (ideally around 10% and under 14%), contamination and starch content. The appearance of the grain and its aroma is also examined to ensure it is healthy grain. One wrong grain in the sample batch and the whole consignment may be rejected. Once the grain has passed all the quality checks it goes to the grain purification tower where dust and foreign particles such as stones are removed. It is then transferred to one of two grain silos, each capable of holding 500 tonnes of grain. The distillery uses 250 tons per day so the silos allow uninterrupted production to continue for four days if there are any issues with grain supply. The wheat grain is milled into a flour using two hammer mills. The degree of milling is what the operators refer to as “95%” meaning that when tested using a 1mm grid, 95% of the flour passes through the holes in the grid. The flour is blended with enzymes and water at 50°C, then heated to 87°C for three hours, a process the distillers refer to as “soft boiling”. Soft boiling does not burn the grain. Conversely, hard boiling, at temperatures over 90°C, is quicker and more efficient, but the distillers at Talvis say results in undesirable burnt aromas in the final spirit. The water used comes from four wells 4 kilometres away from the distillery, each 120 to 150 meters deep. Filtration through layers of chalk in the aquifer over many years results in the well water being very soft. To ensure the wells are not contaminated, S.P.I. owns the land surrounding the wells. The water is piped into reserve reservoirs at the distillery and from these it undergoes reverse osmosis prior to being used in the mash (and the distillation process). Heating with the enzymes converts the starch in the grain into fermentable sugars producing a sugary porridge known as wort. The wort is cooled to 30°C using heat exchangers and a second enzyme (Glucoamylase) is added. The wort is now ready to be transferred to the fermentation tanks where yeast is added. The yeast used is sourced from Denmark as dried yeast and is prepared at the distillery every ten days. 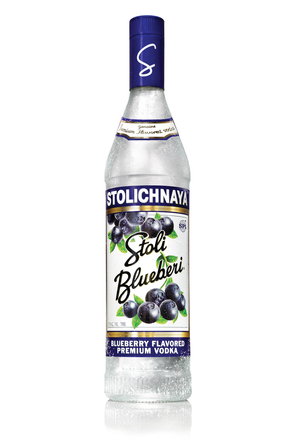 Fresh yeast is always used for the production of elit by Stolichnaya spirit. Each of the ten fermenters has a capacity of 500,000 litres and fermentation lasts 72 hours to produce a 12% alc./vol. mash (beer). The fermentation is monitored for acid levels and the temperature is regulated by heat exchanges. 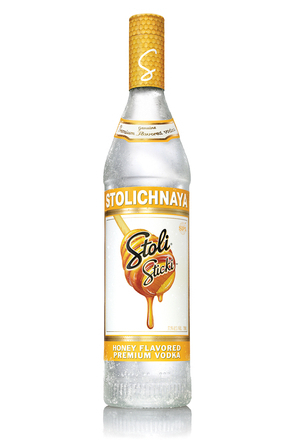 Distillation takes place in five column stills but Stolichnaya is described as being just “three times distilled” due to one of those columns (the fourth column) being solely used to separate valuable chemicals in the heads and tails for sale, while the last (fifth) column only removes methanol. Hence, the 4th and 5th columns are described as being “additional purification columns” rather than distillation columns. 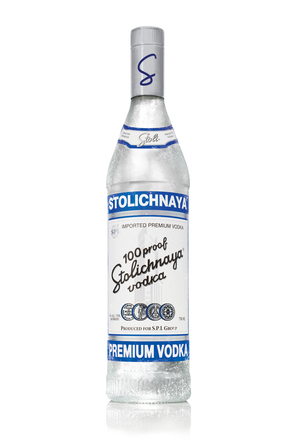 The goal is to retain a subtle wheat flavour whilst rejecting volatile ‘heads’ and oily ‘tails’ to produce the highest quality Alpha spirit and this is achieved by taking a “narrow cut” from the heart of the run, discarding more (Stolichnaya claim up to four times more than some other vodkas) of the heads and tails. All spirit that evaporates before 67.2˚C and after 79.0˚C is discarded as heads and tails, producing a base spirit that exceeds standards laid down by the Russian government. The vapour leaves the first still at 57% alc./vol. and water is added (hydro selection) as it enters the second (evaporation) column which removes aldehydes and other volatile alcohols (heads) as well as Propanol and fusil oils (tails). The vapour leaves the second still at 30% alc./vol. and passes through another copper cartridge to the third column. At 35 meters high, the third (rectification) column is the tallest of the five columns and contains 70 plates, all of which have a sieve-like structure. This column removes more fusil oils to produce a rectified alcohol at 96.4% which goes onto the fifth column. The fourth column (which the folk at Talvis call “the column of concentration of contaminations”) is used to separate the various elements in the waste heads and tails to extract various chemicals with a commercial value which are then sold. The 45th plate of this column retrieves some pure ethanol which is sent back to the third column. The fifth (last rectification) column is what’s termed a packeted column (see plate structure through window in column above) and this removes methanol leaving a highly rectified spirit at 96.3% alc./vol. The spent grains from the first (beer) column are dried using a centrifuge and heated to produce dry pellets which are sold as a high protein animal feed. Tankers take the rectified 96.3% alc./vol. spirit to the now disused Novolyadinsky distillery where rail tracks run into the heart of the old distillery where the spirit is transferred to a small alcohol storage facility. From here the spirit is pumped into to a tanker train for the 850 mile journey northwest to the Baltic city of Riga. After two weeks travelling across Russia by train, the Alpha spirit arrives at the S.P.I. owned Riga Latvijas Balsams in the Baltic city of Riga, Latvia. This magnificent cathedral to vodka was built in 1900 by order of the Tsar. The tracks run right into the facility allowing the spirit to be pumped from the train directly into storage tanks with a joint capacity of some 200,000 decilitres. 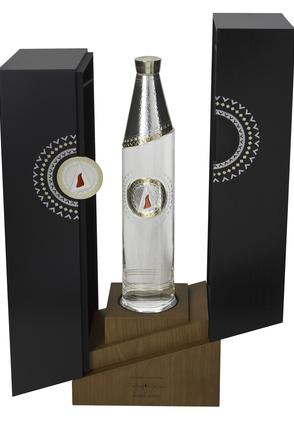 The Alpha spirit is blended with artesian well water from Balzams’ two 200 meter deep wells to bring the strength of the spirit down to 40.2% alc./vol.. The water undergoes reverse osmosis to remove minerals such as iron and magnesium to produce very pure water with the desired mineral content. The water used to make Stolichnaya Gold undergoes an additional filtration through a Shungite stone filter which subtly alters the water’s taste, and so the character of the finished vodka. The 17 blending tanks, each with a 250,000 litre capacity, sit high above the filtration facility, so the spirit can rest prior to being fed by gravity to the filters below. Filtration is through four sets of Russian-made filters which were installed in 2003. 1. Quartz sand filter - removes unwanted particles prior to the important charcoal filtration. 2. Russian birch wood charcoal filter – removes compounds such as congeners and fusel oils which would lead to unpleasant aromas and flavours. Each charcoal filtration column contains three meters of birch charcoal and each gram of activated charcoal within that column has a surface area of over 500m2 of carbon molecules (an area greater than a basketball court) and these activated molecules capture unwanted substances in the spirit. Three hundred litres per hour (one litre every 12 seconds) flows though the gravity fed filters which not only remove unwanted congeners but contribute an important character to the finished vodka. The birch charcoal lasts up to a year before the filter column must be emptied and filled with fresh charcoal. However, the fresh charcoal contributes harsh flavours to the spirit so for the first five to six days the vodka from the recharged filter is directed to a different tank as it is not suitable for sale as Stolichnaya. 3. Second quartz sand filter - removes small particles of carbon from the previous charcoal filter. 4. Fine cloth filter – this final filtration allows the vodka to breathe and rest before bottling. Arguably this last filtration is more about Russian traditions for the production of high quality vodka than it is about science. elit by Stolichnaya undergoes the same filtration process but passes through specially insulated column filters to ensure a constant 15°C temperature throughout the year. Finally the spirit is blended with carefully measured additions of filtered water, beet sugar and alcohol to achieve the correct formulation and alcohol strength for bottling. The addition of a small amount of sugar to vodka is a classic Russian technique and the quantity is so small (less than is typically used in Cognac), that it rounds the taste of the vodka rather than making the spirit sweet. 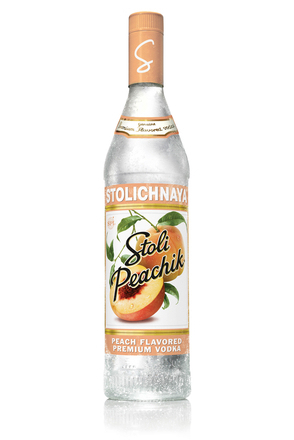 Stolichnaya Premium contains just 1.8 gram per litre and elit by Stolichnaya 1.2 grams of sugar per litre. No flavours or other additives are used – Stolichnaya comprises of just Alpha spirit, water (60%) and sugar (less than 0.2%). 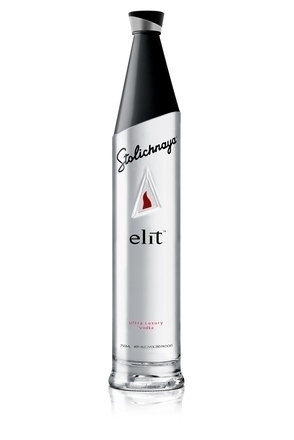 elit by Stolichnaya finally undergoes a bespoke freeze filtration process where the liquid is cooled to exactly -18°C. At this temperature the liquid is denser and the final few remaining impurities can be removed by filtration. The liquid is then brought back to room temperature over a matter of days so as not to damage the liquid. 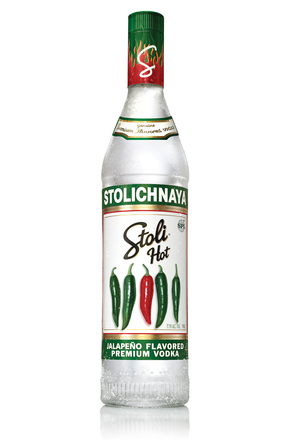 Stolichnaya flavours are infused with natural flavourings. These are mostly created from extracts, infusions and distillates of fruits and other natural ingredients. The flavours are very slightly sweetened with beet sugar imported from the United States. 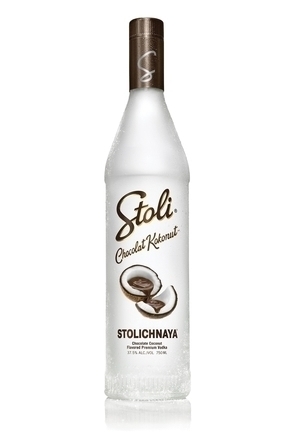 The amount of sugar used varies according to the flavour and Stoli Hot contains no sugar. 1. Oxygen is gently removed by displacement with pure, inert nitrogen. This ensures the flavours remain as fresh and vibrant on the day the bottle is opened as the day it is sealed. 2. The flavoured vodka is allowed to rest in a sealed finishing tank prior to bottling. This allows the flavours to ‘marry’ together and integrate with the vodka. 3. Prior to filling the bottle, the flavoured vodka is double-filtered through an ultra-fine fabric to ensure purity.